At Newtown Motors we offer a variety of services to our customers including cambelt fitting and new MOTs. We also offer valeting services and where possible, paintless dent removal. The supply of CDs, DVDs, alarms, reverse sensors, etc. are also available. 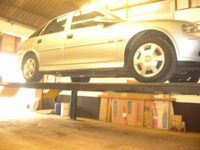 Various electrical repairs are also undertaken and tow bars fitted where required. To our van and truck customers we offer a package of van security and a cargo lining service(see below) and are pleased to offer the complete range of Truckrax systems together with competitive servicing packages. 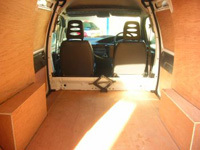 Tipper bodies are also available. For any further queries call Philip or James to discuss your requirements.